Dallas Vacation – Deals & Packages! The first thing that visitors notice about Dallas is the converegnce of Gothic Revival and Neo Classical styles of architecture. The iconic Kirby Building is made in the former style and Davis Building is made in the latter. However, its is the ghastly reputation of the Sixth Floor Museum at Dealey Plaza that usually takes the cake because it is the site where American President JF Kennedy was assassinated in 1963. 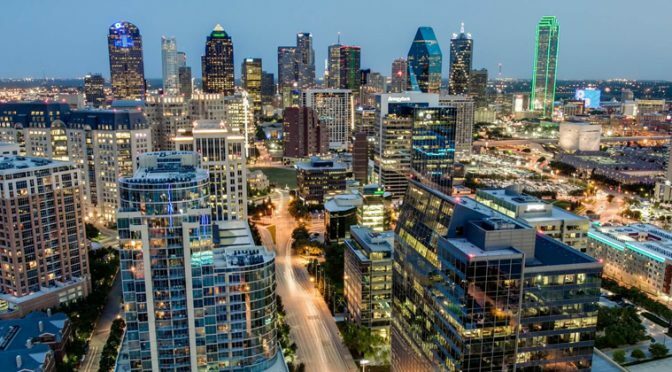 Going further into the city, you are also advised to visit the Dallas Museum of Art, Dallas World Aquarium etc., and its numerous parks that provide activities like cycling, swimming, tennis, and golf. On 22 November 1963, six gunshots were fired at the US President JF Kennedy by LH Oswald from this very place. And then there was a deafening silence. It was followed a little later by chaos, panic and sadness.The building has since been there soaking all the infamy, and has now been turned into a museum known as The Sixth Floor Museum at Dealey Plaza. Alongside are situated John Fitzgerald Kennedy Memorial and George W. Bush Presidential Library and Museum. The centennial museum of the city, the Dallas Museum of Art, is known for its exhaustive collection of national and international artistic works. Visitors often find its collection of ancient Mediterranean and European art from the 16th to 19th centuries of special mention. Another piece of artwork is Wendy and Emery Reves Collection of impressionist paintings. This is closely followed by antique carpets, Chinese porcelain items and European furniture from early Renaissance era. How about spending a sunday amidst 87000 gallons of fun? Dallas World Aquarium has bonnet head sharks, stingrays, jellyfish, sea turtles, giant groupers and rare leafy seadragons in natural reef settings. Considered a fun place for both kids and grown-ups, the aquarium also has another stellar attraction – Orinoco Rainforest Exhibit. It is an artificial reproduction of a rainforest and has a vast collection of birds such as scarlet ibis and toucans flying freely.